Rev. King brings his 15 slaves to the Elgin Settlement; the settlement begins. 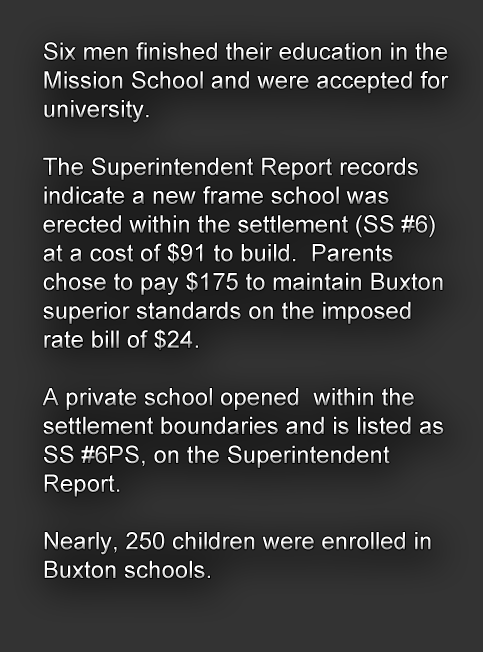 Built in April, SS#7 or the Buxton Mission School opens. Night school offered for adults taught by Rev. King. 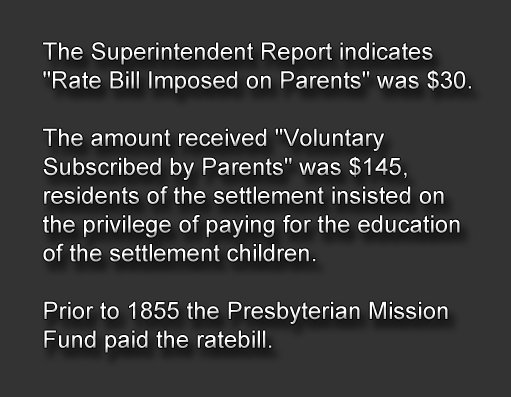 In 1867, SS #4 is included on the Superintendents Report and funds are allocated to it. The report also lists A.W. Shadd as teacher, who taught 71 pupils for the annual salary of $300.00. "I left the states for Canada for rights; freedom and liberty. I came to Buxton to educate my children." In 1854, Henry Johnson spoke these words to author Benjamin Drew who was compiling Narratives of Fugitive Slaves in Canada. The quality of the education and of the schools in the Elgin Settlement and the Buxton Mission was one of the primary reasons it was said to be the most successful black settlement in North America. Reverend William King, a White Presbyterian Minister, who had himself been a slaveholder in Louisiana, founded Buxton in 1849 as a refuge for fugitive slaves and free Blacks. Reverend King told Samuel Gridley Howe of the Committee of Inquiry, commissioned by Abraham Lincoln's administration, to study the progress of Blacks in Canada in preparation for the emancipation of slaves in the United States: "The whole of my plan was this: to provide these people with a home, and their children with an education; and with these two things, I felt confident every blessing would come." And the blessings did come. In the words of John Scoble, secretary of the British and Foreign Anti-slavery Society: "I am not the advocate for exclusively coloured schools; I believe that one mode of breaking down the prejudice which exists against colour will be educating the children of all complexions together. An important fact came to my attention at Buxton which illustrates this point. 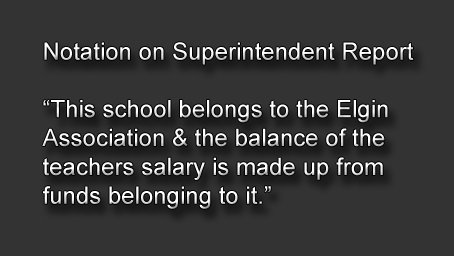 At this interesting settlement an excellent school was opened by the Rev. Mr. King, at which superior education was imparted, and the result was that the white school in the neighborhood was given up, and the children transferred to the coloured school where I had the pleasure of seeing them distributed through the various classes, without distinction, and found that they studied harmoniously together." This school was soon able to boast of an exceptional group of graduates; among which were people who went on to become missionaries, teachers, doctors, founders of the Freedmen's Hospital in Washington, D.C., one of the most powerful Black political leaders in Mississippi, and a Congressman from Alabama. From this era and from this tradition came the school known as School Section #13 Raleigh. In 1861, a by-law was passed in the township to establish a school in the northern end of the Settlement. This relieved the crowding in the mission school and made a more convenient location for those people living near there. That first generation of people removed from slavery joined together to build and support this new school. It served the community for over a century and prepared several generations of students for all of the possibilities that their ancestors could only dream about. Today, the Buxton Historical Society, which is entrusted to the preservation and promotion of that tradition, has restored this school to the use and to the beauty that our ancestors achieved. 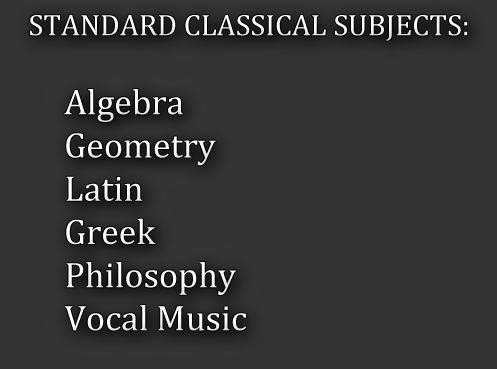 The Buxton Historical Society in partnership with the Ministry of Training Colleges and Universities has developed several curriculum based educational programs and the S.S. #13 Buxton, again, functions as an institution to inspire and educate. It is the only known early Underground Railroad school to still exist in Canada and, as such, holds a very special place in North American History.